Android One users can now update their phone with the CyanogenMod 12.1 Nightlies. The new Nightlies are based on the Android 5.1 Lollipop and available for all the Android One smartphones. All credit goes to the XDA member Varun, who prepared the builds for sprout4 (4GB without emulated storage, including Symphony Roar A50) and sprout8 (8GB with emulated storage). If you are the user of android one smartphone like Micromax, Spics, Karbon or any other and want to update your phone with the latest CM 12.1, here is the guide which you can follow on your phone and update the same with CM12.1. The best part of the new build is that everything is working fine and no major bugs and available for the all the Android One models. To update you phone all, you need a rooted phone with custom recovery. All you have to do is install two zip files on you phone and you are done. Before following this guide, do take the backup of you phone otherwise you will lose all your data and files. The tutorial is only for the Android one users and don’t try this on any of the smartphones. Step 1. As we mention earlier you need a rooted phone with Custom recovery. Check out here how to root and install recovery. If you already done that, then go to the next step. Step 2. 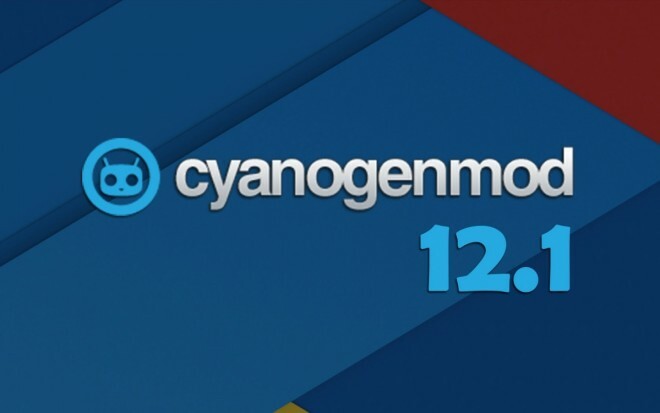 Download the CyanogenMod 12.1 Nightlies for Android One from the below mention links. Step 3. Download the Google Apps package here and save it on your desktop. You need this zip file to install all the Google application on your phone. And Yes don’t extract the folder. Step 4. Connect your phone to the PC and move both the zip files on your phone internal storage. Step 5. Now boot your phone in the custom recovery mode to flash the zip files. Step 6. Once your phone on recovery mode perform a full clean install (Wipe cache, data, system). Don’t wipe the internal otherwise you will delete the zip file that you saved on your phone. Step 7. Now Flash the CM 12.1 Zip file on your phone. And wait until the flashing process finishes. Step 8. After that Flash, the Google Apps package in a similar way like you flashed the ROM file. Step 9. Once completed, Go to back to recovery’s Main menu, select Reboot » select System. Now your phone will reboot and first reboot will take some time. Now your phone is running on Cm 12.1 Android Lollipop. 4GB android one models n 8GB android one model.. I have a micromax android one mobile.it has 4GB internal memory.but 8GB? ?is their any android one mobile running in market which has 8GB internal or what?? Hi, Any stable ROM available for MotoG 1st Generation ?